With New Year’s resolutions still fresh in everyone’s minds, Peloton announced its second major product on Tuesday: a treadmill. 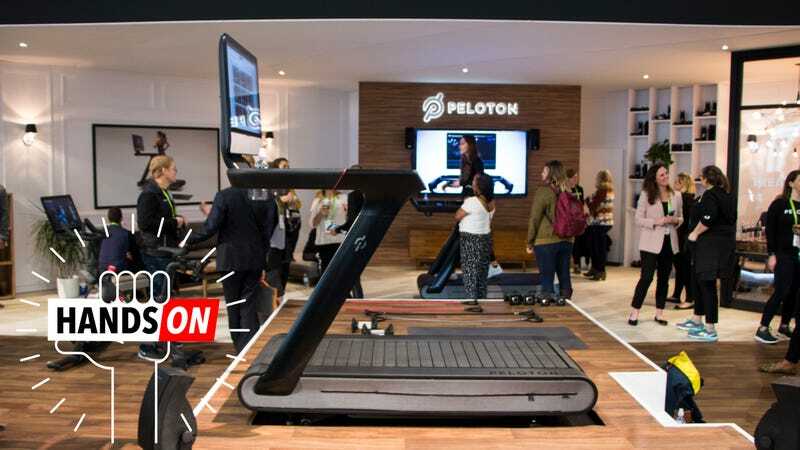 Except, as Peloton CEO John Foley explained to me at the Consumer Electronics Show (CES) in Las Vegas, the new Peloton Tread is more than a running machine. It’s being billed as a private fitness studio, one that offers the ability to take a variety of exercise classes streamed live from the company’s studios in Manhattan. It will also set you back four grand, plus a monthly fee of $39 if you want access to the live classes. The craziest detail of all? It almost feels worth it. The verb “feels” is important here. After my conversation with Foley, I jumped up on the Peloton Tread and did some running. As I stood on the machine in Peloton’s clean, wood-paneled booth on Tuesday, a better version of myself flashed before my eyes before I even took a step. Yeah, this was a feeling. Was it a fleeting one, the kind you get from sitting in a fancy car or taking a bite of lobster? Or could it be permanent, the kind that makes you content with spending $4,000 for something that performs the same basic function as a $500 gadget. The feeling is obviously the result of some very smart marketing. The Peloton sales pitch is polished and appealing in that Apple sort of way, and although I realize that metaphor is overused, it works uniquely well in this case. Much like a $1,000 iPhone, the Peloton Tread is marketed as an experience as much as it is a gadget. Buy this thing and you’ll be as fit and beautiful as the Peloton instructors cheering you on from New York, the display mounted on the front of the treadmill seems to scream. The similarly screen-clad and networked Peloton bike already has a cult following. Now, the company is trying to win more devotees with a more versatile product that costs twice as much. In all of the basic ways, the Peloton Tread really is just a fancy treadmill with a big screen bolted to the front. The controls are delightfully minimal with knobs on either side to control speed and incline. (That means no more hammering the speed-up button to get to your preferred running pace.) The 32-inch touchscreen display lets you navigate through the various workout classes, including everything from running intervals, to boot camp-style floor routines, to yoga. The belt under your feet is actually a series of grippy, rubber-covered, shock-absorbing slats that sit on top of ball bearings. The effect is something similar to running on one of those polyurethane-coated tracks they use for track and field competitions. All things told, it’s a nice piece of hardware. What’s especially appealing about the Peloton ecosystem are the classes. Through that big pretty touchscreen, you can tune into what seems like an endless number of energizing routines. Some move you from the treadmill down to the floor to work with weights or bands, and others direct you to do yoga poses and stretches. When you’re done, you can stash the weights and accessory inside the treadmill thanks to zippered fabric pouches. But again, in order to enjoy the library of classes, including the live ones, you have to pay a membership fee of $39 a month. So let’s do some math. Peloton will sell you the new Tread for $3,995, and you can reserve a unit now with a $250 deposit. If you don’t have that kind of coin lying around, you can sign up for a payment plan that costs $149 a month for 39 months—which is , by the way—with 0 percent APR. That payment includes the $39 a month membership fee for the duration of the payment plan. Still, we’re talking $150 a month a little over three years to get the Peloton Tread and the classes. After that, you still have to pay that membership fee. For most people, this is more expensive than the nicest gym in town. And while you can always cancel your membership, that treadmill is potentially going to sit in your basement for generations to come. I’d like to say I’ve talked myself out of wanting the Peloton Tread, but that would be lie. 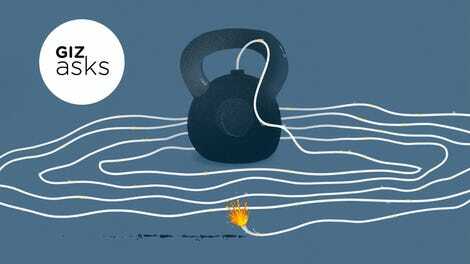 It’s really cool, and I hate going to the gym. Lucky for me and my financial security, I can’t squeeze one into my small Brooklyn apartment. I can subscribe to the classes through an iOS or Android app for $13 a month, and I’ll probably give it a try. Peloton did say they’d send us a review unit, which I plan to install in the middle of Gizmodo’s offices and make a fool of myself on a daily basis. Until then, you have to take this neat new fitness gadget at face value. It’s really cool. It’s really expensive. But it’s just so cool. Correction - An earlier version of this post state that the $149 payment plan required an additional $39 membership fee to get access to the Peloton classes. In fact, Peloton includes the membership fee in the payment plan for the duration. The text has updated to reflect this.